Turn-based strategy is a classic style of gameplay, but it's still pretty big these days with titles like Frozen Synapse hitting Android. But sometimes these games can be a little slow, or even tedious if a not designed well. 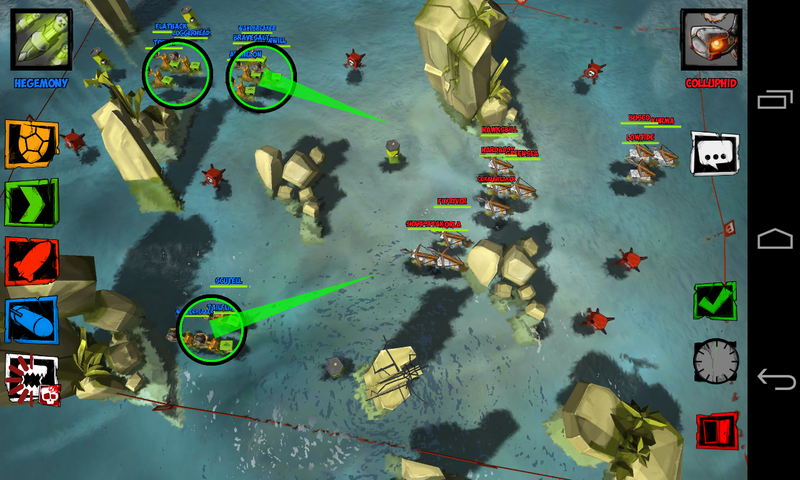 The developers of TurtleStrike are trying to combine real-time with turn-based gaming in what they call "live turn-based" gameplay. This approach has the potential to make matches proceed quickly, but still allow careful tactical planning. If it's done well, this could be very cool, but is it? 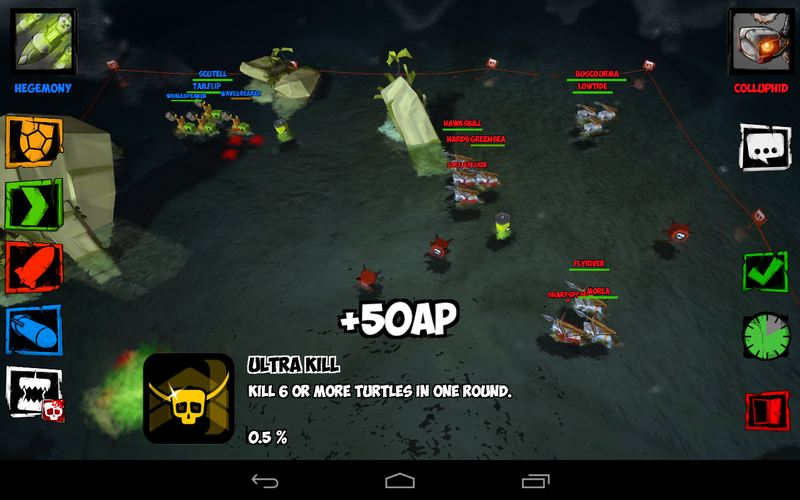 TurtleStrike is an online combat title that's a little reminiscent of the Worms games – except with turtles. 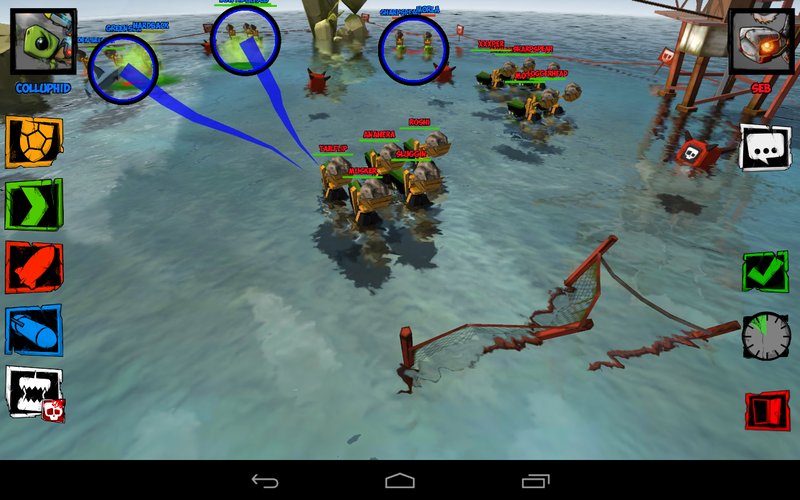 You and your opponent both have three clusters of turtles, each of which act as a single unit. Along the left side of the screen are the various actions you can take. To set up the actions for each turn, you can choose from move, projectile, torpedo, shield, and super weapon. Each cluster of turtles can execute only one action each turn. 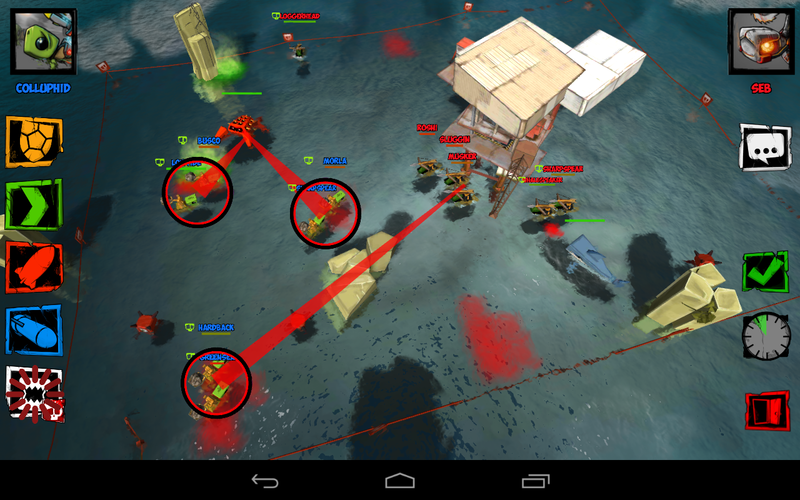 So if you want one of them to move, it can't also fire a torpedo, for example. This game is a top down affair, so you can usually select your turtles fairly easily. 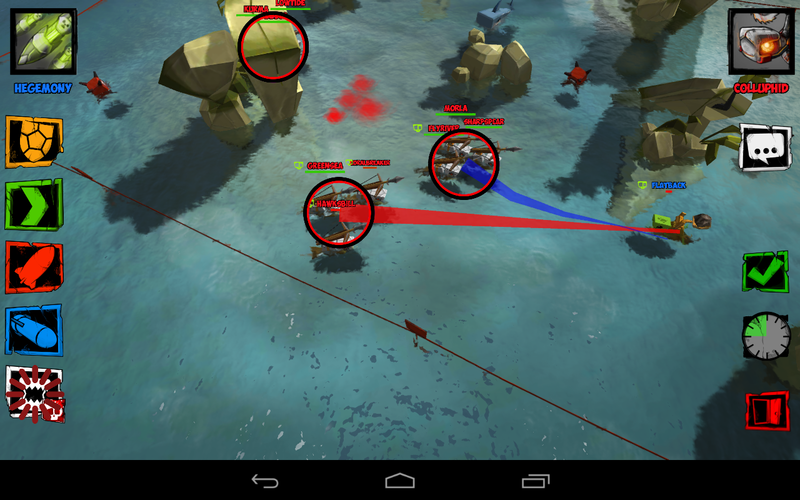 A two-finger twist lets you rotate the battlefield, but zooming doesn’t seem to be included, or it just doesn’t work. This is bizarre. The key to this into a live turn-based deal is that both parties queue up their moves in the same 30 second window, then everything plays out simultaneously. At first blush this sounds all well and good. You essentially only have to wait through a single turn instead of two. 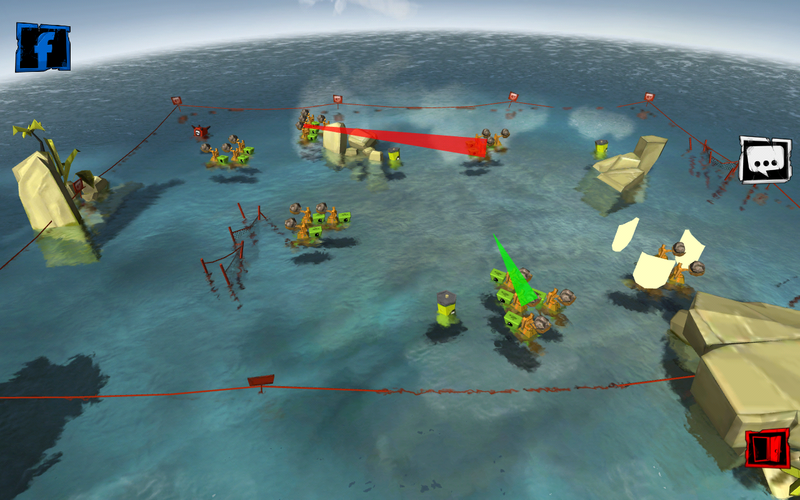 However, because both sides get to move at the same time, it becomes incredibly hard to actually hit anything. When you’re set up, you can press the end turn button. When the time limit is up, or both players have signaled their readiness, the turn starts. It only takes a few seconds to play out, after which the game will flash up alerts describing what went down. Then, there is a long, ponderous pause before the next planning phase. I don’t know what this 5-10 second break is, but it happens every time. 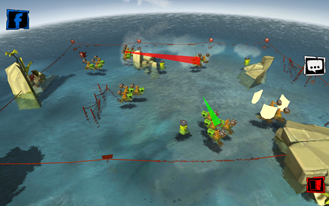 You have to predict where the enemy turtles are going to move, if they are moving that is. 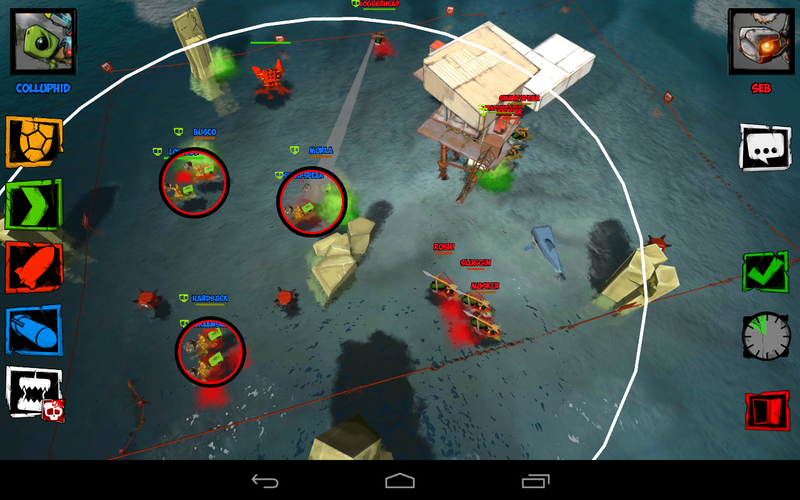 If they’re attacking, you might want to move or throw up a shield. Your shots will miss a frustrating amount of the time. So it might take a long time for one team to wipe out the other. Often the party that is more impatient will lose. 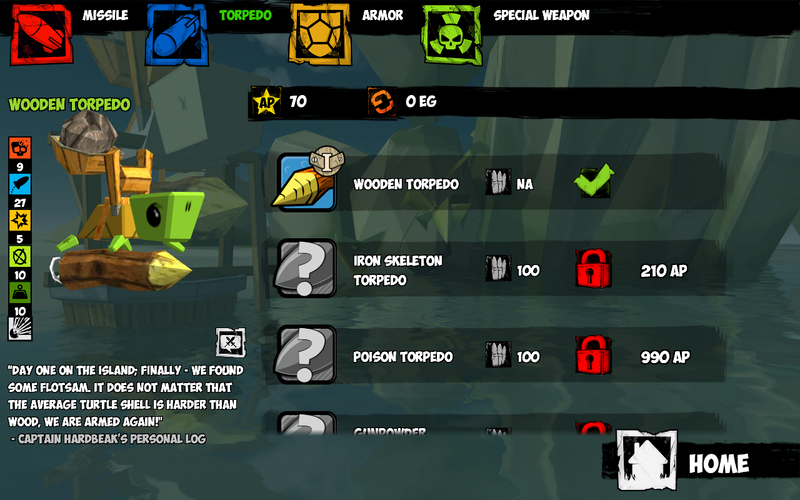 When you start playing TurtleStrike, your team is equipped with basic materials like catapults, wooden torpedoes, and other unimpressive gear. 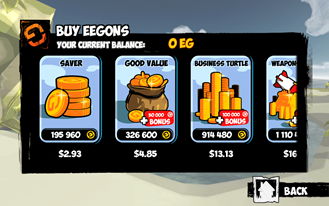 As you play matches, you’ll earn in-game currency that can be used to upgrade to better stuff. The key to whether or not this game will even be playable is the quality of the online matchmaking. If you’re just as likely to get an opponent with a boatload of upgrades as a first-time player, it’s going to be annoying. I've been seeing some questionable opponents come up in my testing, but the game is still new. Your milage may vary here. 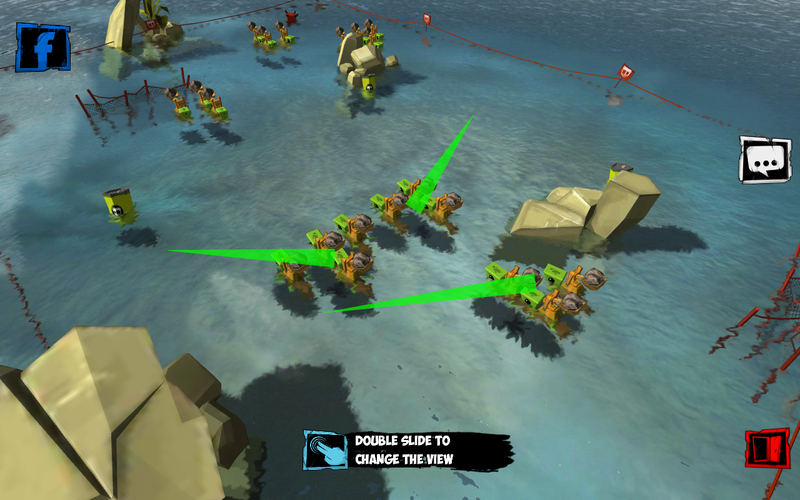 For a kinda-sorta turn-based strategy game, TurtleStrike looks pretty good. 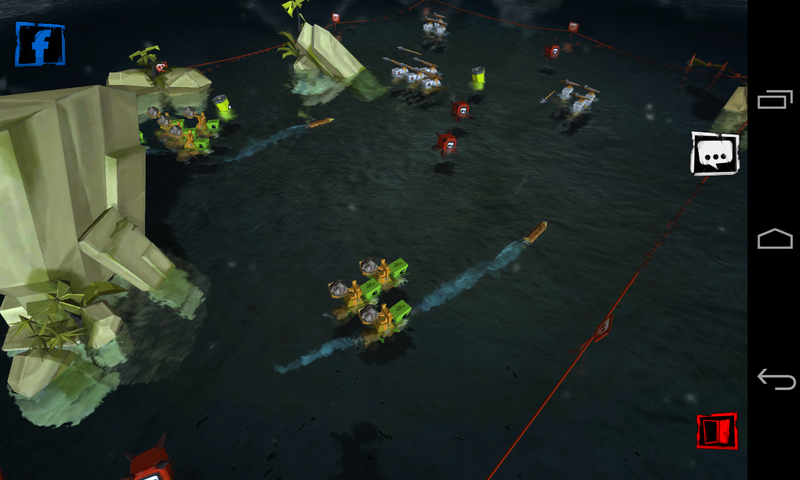 The water is well-animated, and the turtle models have a neat blocky appearance. 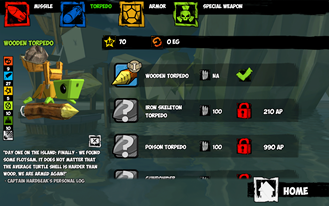 You can also upgrade to different skins for the turtles to (presumably) strike fear into the hearts of your enemies. 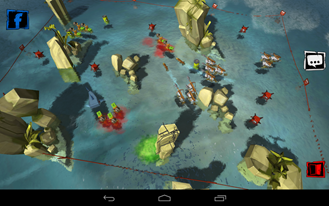 The game relies on outlandish proportions and solid textures, so it looks a bit like a 3D animation playing out in front of you. It’s a nice overall look. However, performance leaves something to be desired. There are some random slowdowns while planning turns, and some hiccups in touch detection. While the game looks nice, it seems more taxing on the system than it should be. The N4, N7, and Galaxy Tab 3 all get strangely hot and burn through battery at a noticeably accelerated rate. 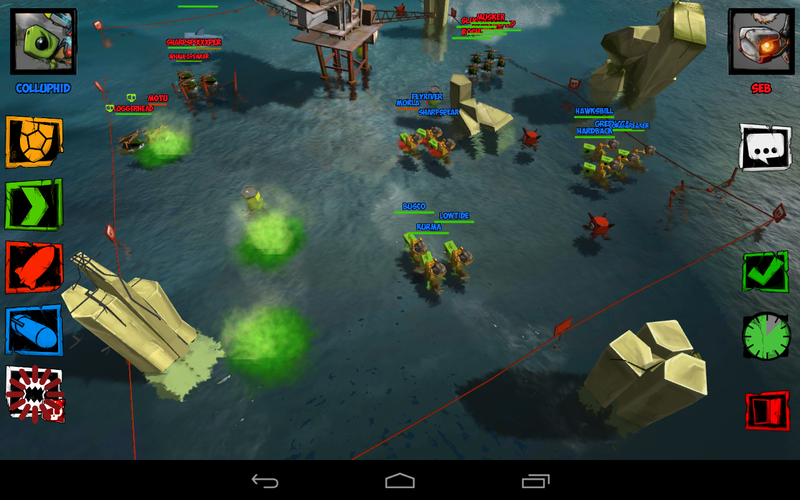 The game has improved since the pre-release version I first tested, but it could still use some polishing. The idea of tightening up the turn-based game mechanic is intriguing, but I think this style of gameplay has survived so long exactly because it works so well. The gameplay in TurtleStrike feels a little awkward as you try to launch projectiles blindly, hoping the enemy turtle will move in the right direction. I don't think I'd call it bad, but the strange pauses also don’t do much to speed things along, which is supposed to be the point. 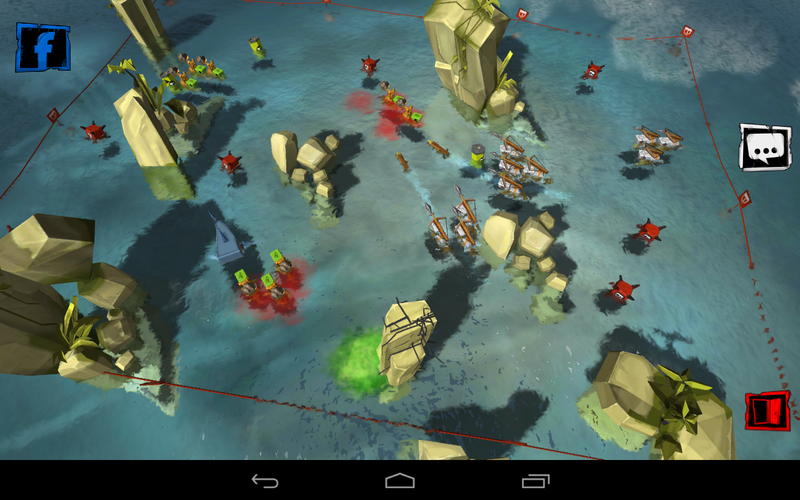 In-app purchases are always going to be contentious, but most games don’t abuse them. I don’t think the developers have done anything devious with the upsells in this title, but the default weapons have been nerfed pretty hard. You really have to upgrade to do any damage, and that means winning matches, or buying things with real money. I feel like there is potential here. I'm going to keep poking around with the game, myself. 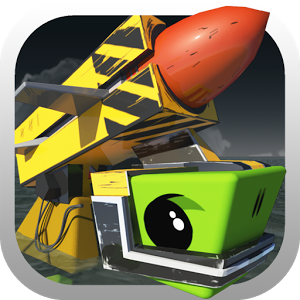 TurtleStrike is free to try, so it’s not like you have to drop any cash to see if you dig it. It's worth trying, or at least keeping an eye on.